As Steve Conway I was born on the 6.30am news headlines exactly 25 years ago this morning, in the winter of my 23rd year, having just arrived at a place that would become home to me for a number of exciting drama and emotion packed years, and a sort of Tir Na Og or mystical lost land for me to look back at later in life. This is a way of saying that today is the 25th anniversary of my joining Radio Caroline back in the days when it was offshore. Before that that day I had another name, but the practacalities of working on a radio station that was outside the law (not against the law, but actually outside it) made a name change advisible, and so Steve was born as a fully fledged adult, and Steve I have been ever since. 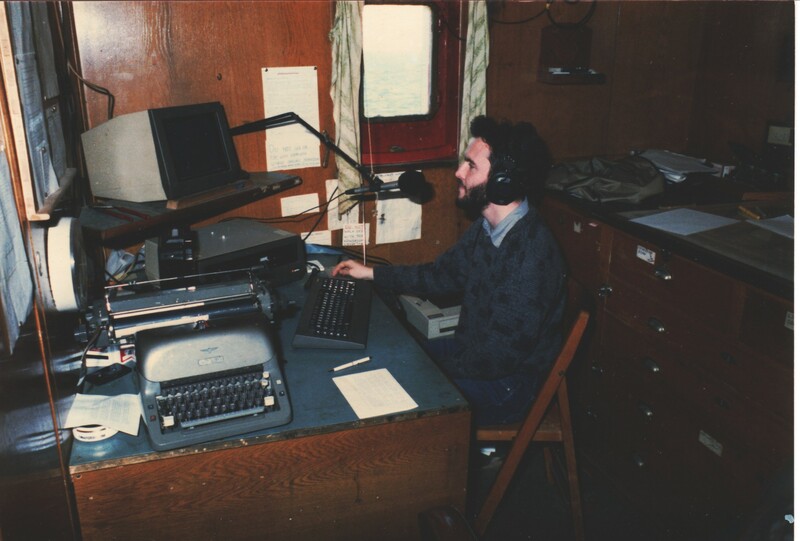 Steve Conway in the Caroline newsroom in late 1987. 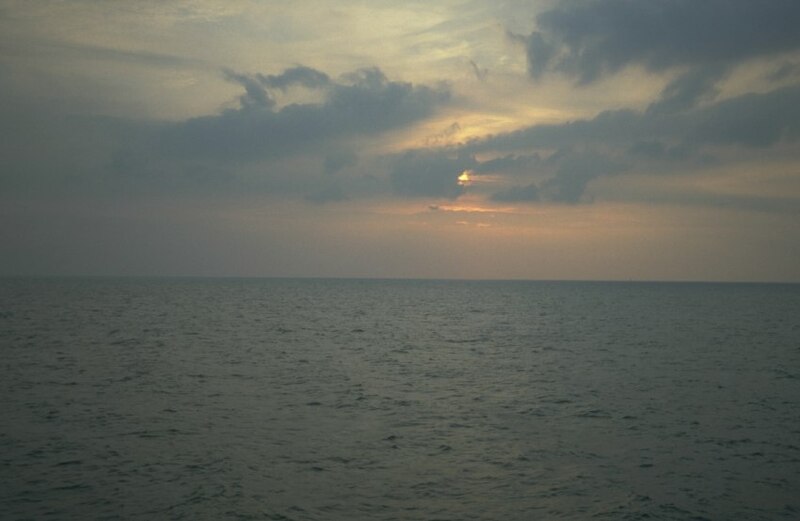 And, in a way, it was a rebirth of sorts, because joining Caroline so radically altered my life that the date 24th February 1987 is a dividing point in my life, which was very very different in shape either BC (before Caroline) or AD (after the drifting of November 1991 that ended my offshore years). No, what the anniversary has really made me think about this morning is time. 25 years – a quarter of a century. In one sense it has passed quickly, but in another, it is a very long span of time, especially if I view it in terms of the changes in the world in which I live. I’m not talking about the micro world of radio – though that has changed dramatically, offshore pirates now a thing of the past, onshore radio multiplied in number by a huge factor – nor am I thinking about the political world, which, to be honest, despite governments coming and going, wars and alliences changing, is curiously unchanged from 1987 (I have a couple of my Caroline news bulletins on tape, and apart from the names of the participants, many of the actual stories would seem perfectly normal if broadcast today, indeed an old bulletin might almost be played out instead of a new one with few realising there was something wrong). I’m thinking of the more general world as it personally affected me an an individual, then and now. Information has been the defining change of those 25 years. In 1987, information was something which you were given, in limited quantities. It was not something which, in the run of the mill that you accessed, unless you have a job which specifically involved accessing files and databases. On board the radio ship we had a television (and no, we didn’t have a licence for that either!) and it gave us the diet of entertainment and slices of news that were deemed suitable or needed for the population at large. There was no hint of customisation – you had the choice to watch or not, but could not influence that content in any way. Also on the TV was teletext, a few hundred pages of information judged to be of popular appeal, so you could look up things like sporting results, the current UK Top 40, news headlines, weather etc. No deeper dive into this information was possible, and there was no such thing as search. Onshore it was not much different. You could go to a library, but getting hold of any kind of information outside the daily norm required a lot of effort. What exactly was said during a debate in the House of Commons last night? What are the times of the bus that goes past my friends house in a city 400 miles away? What is the history of Danzig before 1939? All of these kinds of questions were, indeed, capable of being answered, but not on the spot, not at 8am on a Sunday morning, and often not without considerable time and effort. When I made the snap decision to join Caroline, my family and friends back home in Ireland did not find out about it for many weeks. There was no Facebook to keep in touch, no text messages, and no way for them to listen to me even if they had known I was on there. Whenever I wanted to take a trip back to Ireland to see them, booking it was a big undertaking. I had to visit a travel agent or ferry or airline office, where first of all I would have to wait, patiently, while many other people in front of me were served, slowly. Then I would explain my needs to a person seated in front of a booking system which I could not see, and they would outline the various options of flights or ferries to me. I had no way of seeing those options myself, no way of knowing if what I was being told and sold was really the best for me, or the best for them. When I went home to ireland, I was in a different world from the UK. No Caroline, no London Evening Standard, no access to my London friends other than making an international phone call (house to house in those days) which would seem . . well, strange. I don’t have to tell you how vastly different all these things are now. I listened to Caroline on my way to work on the bus this morning in Dublin in clear FM quality via my smartphone, which will also give me the Evening Standard if I want it, let me search and book my flights, even act as my boarding pass. Any of the pieces of information I mentioned above are at my fingertips instantly. Travelling is hugely different, through apps and alerts I know what is going on at airports, can be certain when the next bus or tram is arriving, and can text Geoff in Surrey to tell him that I’m just about to get onto a fishing boat in Harlingen, Netherlands. Or research the history of Danzig should I be hit with a curiosity to do so at 8am on a Sunday morning. When we look forward in time, we generally don’t see and can’t see the real changes which are going to happen. We think of faster planes and spaceships and wars for water, but we can’t forsee the changes that are gestating which will affect the more intimate, everyday world we live in. There are other ways of predicting the future however. A couple of the Dutch crew on the Caroline ship had this thing going with a piece of string and a weight which they used to divine the future for the small but important events – such as when the next supply boat would arrive (FOOD! NEW FACES! NEW RECORDS! ), who might be on it, and other such things. The future was predicted based on which direction the string would move when held with the weight on the end, and whether it would stay absolutely still or move around. The fact that we were doing this on board a ship which even in the calmest weather would move gently may tell you that we were not neccessarily applying the strictest of scientific methods here! After a string (!) of successful predictions they started asking it some bigger questions. Who would find love? Who would marry? When would the Ross Revenge make its final broadcast at sea? (the string correctly predicted 1990, but then wrongly told us that the ship would be bought by the Voice of Peace and move to the Israeli coast). 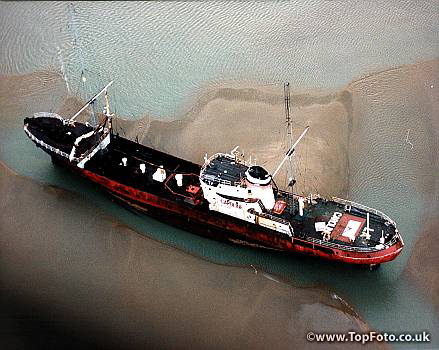 It's not our fault we ran the ship aground in 1991. The string never warned us! The human curiosity for the future is strong, despite our almost always predicting it wrongly. Looking back today at this junction in my life a quarter of a century ago, I can’t help but wonder what changes there will be in the next 25 years of Steve Conway. Hopefully, when “Steve” is 50 he will still be alive (his body will be 73, so that’s a reasonable hope). Beyond that I can’t really say what will happen. Whereas before, everyone talked of flying cars, now in the information age we predict brain chips. People will be able to access everything without any external devices, our memories will be preserved forever . . . But perhaps we are failing to see the real future, and the changes to come will be just as unexpected and profoundly altering as the ones of the last quarter century. I just hope they are as liberating. Anyone got a piece of string I can borrow?